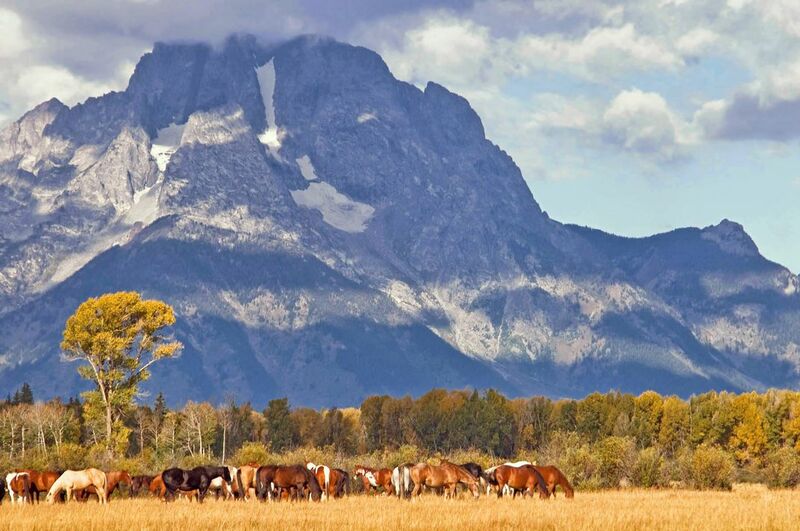 Horses grazing before one of the "grand" Grand Tetons partially shrouded in clouds . . . Nikon D300s, Tamron 18-270mm lens.